With better occupancy on day 2, Kedarnath witnessed a jump of 35 percent in its box office collection on Saturday. 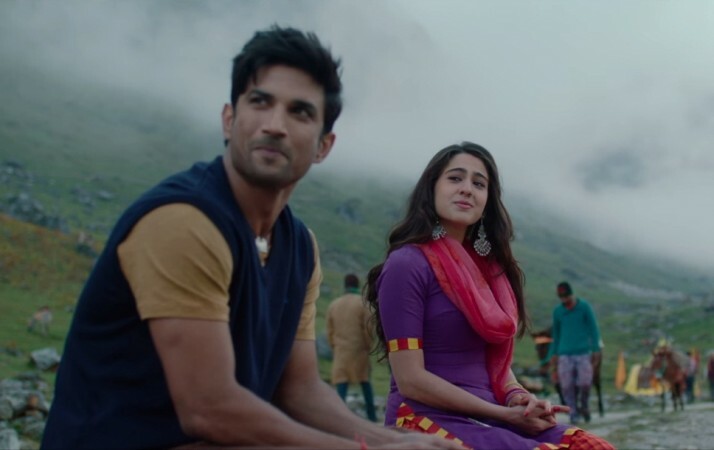 Sara Ali Khan's debut movie Kedarnath starring Sushant Singh Rajput has had a good opening day box office collection of Rs 7.25 crore at the domestic market. The movie managed to continue the momentum on day 2 as well. Kedarnath has had a slow start at the Indian box office during the morning shows, but the film witnessed decent growth in footfalls during the evening on first day. As expected, the film's business saw an upward trend on second day. With better occupancy on day 2, Kedarnath collected Rs 9.75 crore (approximately) at the Indian box office, taking its collection to over Rs 17 crore in two days, according to Box Office India. Despite receiving not so positive reviews from critics, the film has got a good start at the commercial circuits. Its earning could have been better if 2.0 was not running successfully at many theatres. Nonetheless, Kedarnath makers will be happy with the kind of start it has got. Two factors that might have worked in favour of the movie is the curiosity surrounding Sara's performance and the impressive trailer of the film. The trailer had shown some stunning visuals that had grabbed much attention. Considering the current trend, Kedarnath is likely to rake in good moolah on Sunday as well, but the real test will begin from the weekdays.